“Barking Cuckoo” Cuculus sp. Baekryeong Island, May 28, 2014 © Nial Moores. Note the brown forehead; the strong flank barring; and the greatly reduced barring on the belly back to the vent (green-tinged here because of reflected light from the leaves). 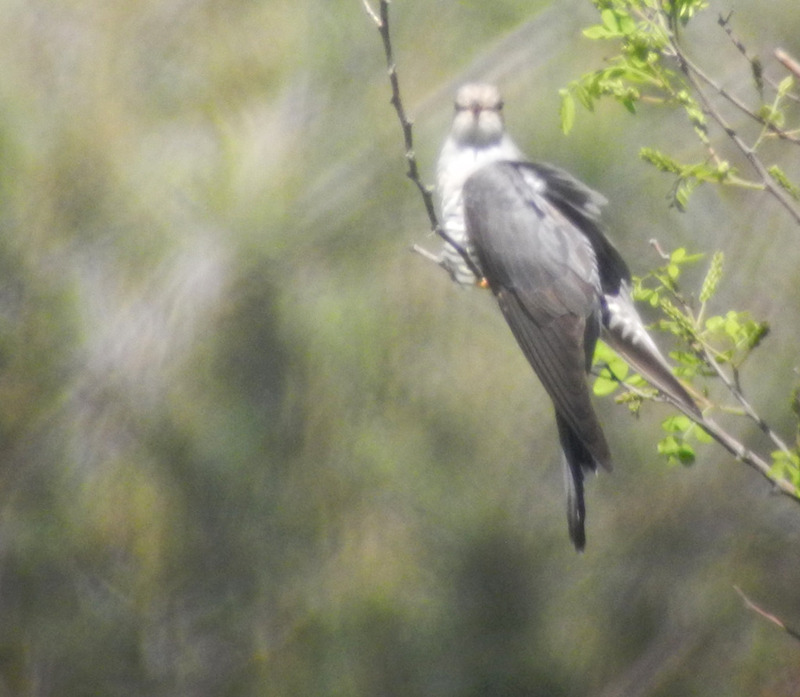 This post aims to provide an update on this still unknown “Barking Cuckoo”, with some images. It is written in the hope that other birders in the region have already solved this puzzle, and if not, that they will from now keep their ears and eyes open for it! I first heard this “Bre-Ho” song in 2000 on Gageo Island (at approx. 34 D North, 125 D East), then in 2003 or 2004 on Eocheong Island (at approx. 36 D N, 126 D East) and then in 2013 on Baekryeong Island (at almost 38D N, 124 D East). 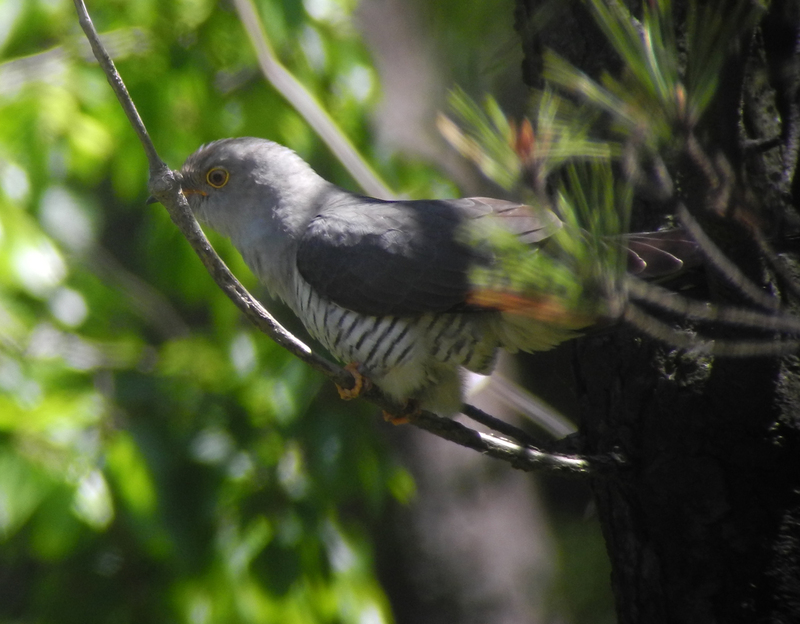 At times it was preceded by a hoarse and fairly sinister-sounding gargle or “stuttering”, a little like the “Ga” sometimes given by agitated Oriental Cuckoo, though quite unlike their typical soft introductory “Bu” notes; and also unlike (typical) Common Cuckoo. Following the 2013 post, the same barking song was heard again, and (poorly) sound-recorded by Subhojit Chakladar on Weiyeon Island, c. 10km from Eocheong, on May 17th or 18th 2014. I also encountered it again on Baekryeong Island (~220km to the northwest of Weiyeon), with probably three different singing birds heard AND seen on May 26th 2014 alone. The first bird on Baekryeong in 2014 was heard singing from a group of trees by the road. Pretty desperate by this time to get a glimpse of the singer (and to prove that it indeed was a bird! ), I moved towards the song, and watched with considerable anguish as a cuckoo flew away from me, east up the island and deep into the next big patch of trees. It was not orange-headed or particularly distinctive looking. 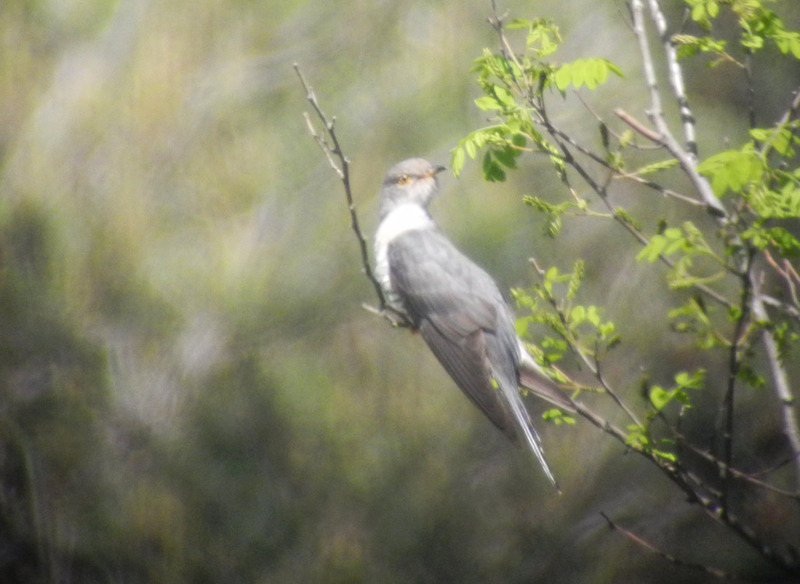 Instead it looked more or less like a Common Cuckoo, but had an obvious brown forehead! Was this really the barking bird? After waiting unsuccessfully for another hour or so for the barking to start up again, I headed, dejectedly, a further 2km or so west. There, right in the far west of the island in Yeonhwa Ri, I heard the barking song again. And this time there seemed to be two barking males (and a female) in some kind of chase in forest edge next to a reed-bed! One bird was ‘scoped as it gave the barking song from the top of a pine (where it was also very poorly digiscoped for 1-2 seconds just before it took flight). The underwing was not seen well. Seen against the light, this perched bird had a brown forehead, a pale grey breast and barring which oddly seemed to be very strong on the flanks and more or less absent from the central belly down towards the vent. The singer flew, and two or occasionally even three birds kept appearing and disappearing, with intermittent bursts of song, with one or more birds apparently returning to a patch of willows below the pine tree. A further five or ten minutes of waiting, and then a silent bird showed itself at the edge of the willows. Was this really the same bird? Certainly, it shared several plumage features with the singer seen minutes before (and the bird seen two hours earlier too). It saw me; flew; and the singing stopped for the rest of the afternoon. 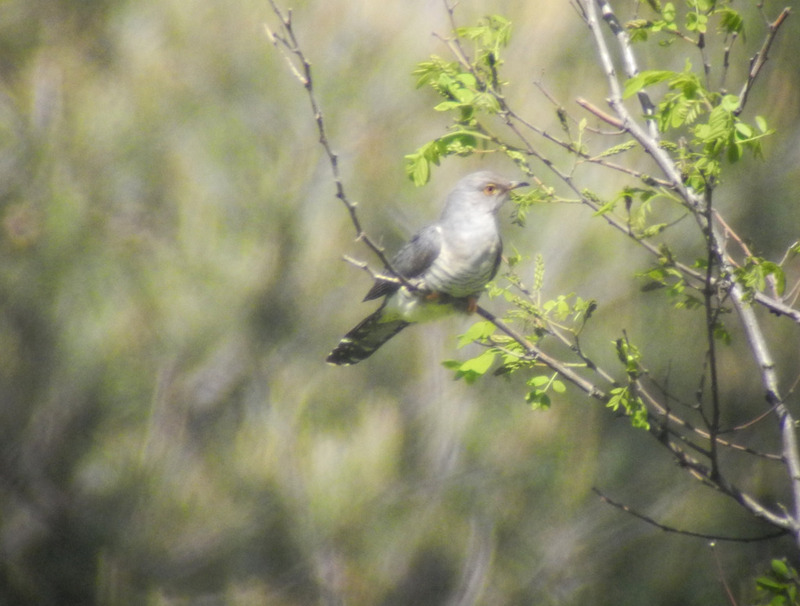 Two hours later, about 200m north of the willows, I saw a cuckoo sp with a brown wash on the breast but otherwise adult-like plumage (and pale eyes) which I therefore tentatively identified as a female. Although there were also Common Cuckoos in the same area, this one seemed to share many of the same features with the singer: namely the same brown forehead; the same coarse barring ending on the breast; the same largely unmarked vent (without the obvious buffy wash of many Oriental Cuckoo). Was this perhaps a female “Barking Cuckoo”? Returning to the same area on May 28th, I again heard the same gargled introduction and barking song, and managed another series of poor images and some very poor digi-video as the bird was singing (see below). This one was singing above a reed-bed, with its tail angled oddly downwards, seeming to choke a little with each note, with each “Bre-Ho” sequence apparently given through a closed or largely closed bill. 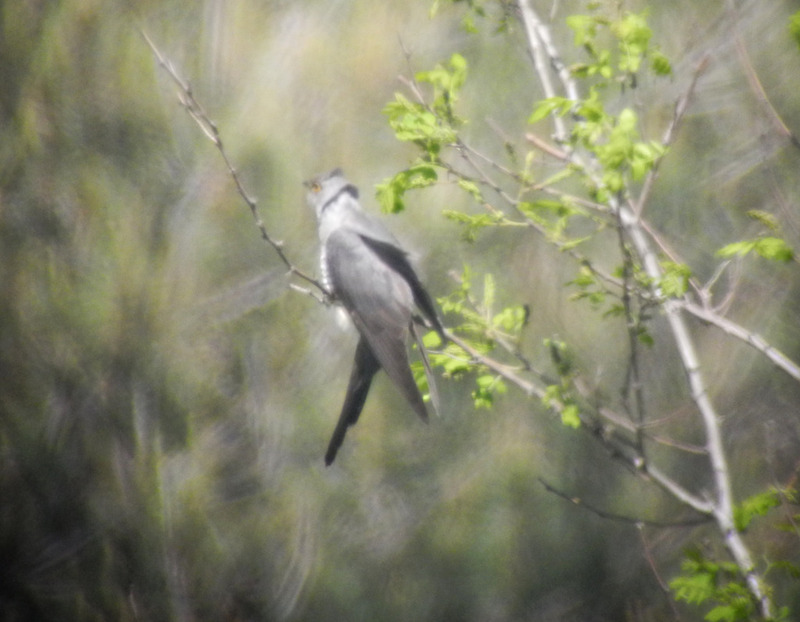 Of interest, the bird stopped singing (about second 14), perhaps in response to another cuckoo-like call / trill (?). This bird again showed similar features to those seen in the singer and the silent birds of two days before, clearer in the digiscope images, including e.g. the same brown forehead, subtly paler throat, extensive pale grey breast, and coarse barring – broken on the belly and absent from the lower belly (see image at the top of the page) and on the vent. The bill pattern confirmed that this was not the same probable “Barking Cuckoo” that I had seen well in the willows two days earlier. A return visit to this centre of “Barking Cuckoo” activity in early June 2014 failed to find any singers. And in 2015, much of this area had been bulldozed, and (temporarily?) infilled with rubble from yet another road-building project. Nonetheless, two more “Barking Cuckoos” were heard in song on Baekryeong between May 10th and 22nd 2015. The first was heard briefly in the far southwest in trees near the reservoir in Junghwadong on May 19th (when I went alone) and again on May 20th when revisiting the same group of trees with Tim Edelsten. Although it sung only briefly, it provoked an immediate response from both of us (laughter at the introductory chuckle and its distinctiveness, followed by TE asking: “That’s it right, the Bre-Ho song?”). I managed to see the bird perched up in the trees. Although part-obscured (so I could not see its head), the breast was very pale grey, and the underpart barring looked broken or absent from the belly towards the vent. It was also glimpsed in flight by TE: the second person in Korea knowingly to see a “Barking Cuckoo”? 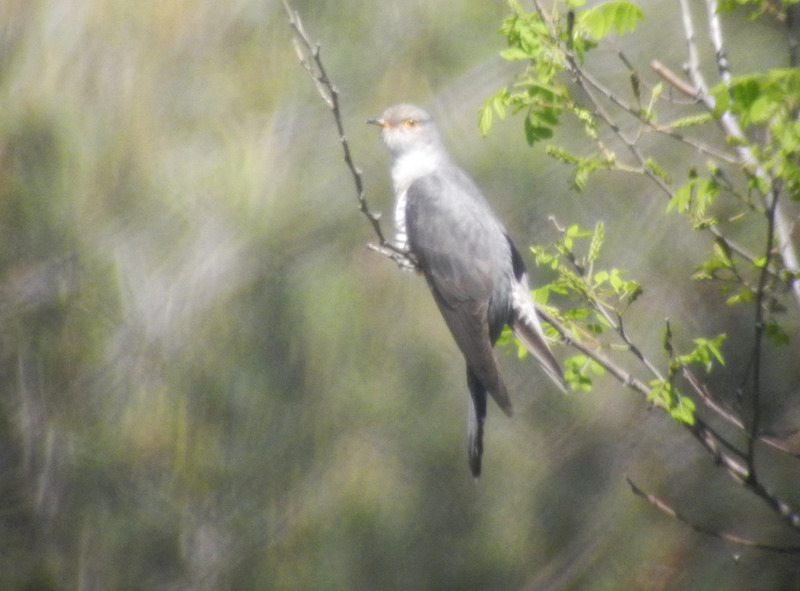 On May 22nd, I then heard another “Barking Cuckoo” in the far north-east of the island in the evening. Although the singer was unseen while singing, and there were several Oriental and Common Cuckoos in song or perched in the open in the same area during the same hour, this song was given less than two minutes after a fairly odd-looking cuckoo had been seen well and digiscoped from behind. From the rear-side, this bird showed traces of juvenile or perhaps hepatic-type feathering, including notably some brown on the forehead. Unfortunately, it flew off wires into trees (where the song came from) before I could see it from the front…Was this perhaps that “Barking Cuckoo”? Each time, in 2014 and 2015 (as in earlier encounters) the song of these “Barking Cuckoos” has been introduced by a short, sinister chuckle (still not sound-recorded) followed by sometimes quite incessant barking: “Ga-gwa-ga…Bre-Ho, Bre-Ho, Bre-Ho”. 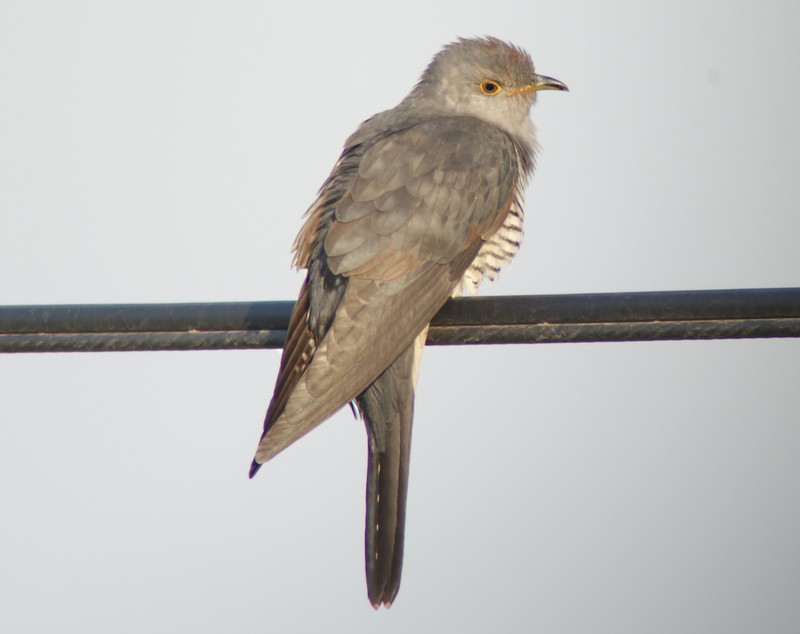 Occasionally, this “Bre-ho” sounds closer to Common Cuckoo (“Bru-hu”), but at no time have any of the singers that have been heard to date alternated these songs with clearly recognisable Common Cuckoo or Oriental Cuckoo song. This song type instead appears to be “typical”, with a distinctive introductory phrase and rhythm, and a (fairly) consistent structure that should be easy for other birders in the region to hear, recognise and record. 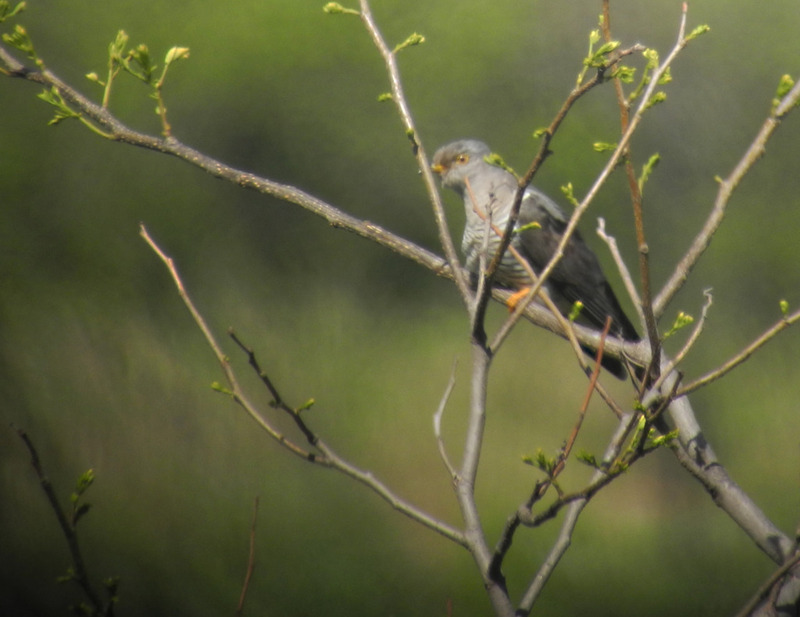 Moreover, this song appears to be given by birds that share several plumage features not known to be shown by adult Common or Oriental Cuckoos, in Korea at least. These might well include immature features (?) but the distinctiveness of both song and plumage seems to indicate that there is perhaps a little more to this mystery than just immaturity. Especially, as on one occasion this song was apparently given by two males that shared plumage features and song while chasing (displaying to?) a female. Furthermore, based on this short series of records, the “Barking Cuckoo” (whatever it is) appears to be a fairly regular migrant through west coast islands of Korea (and therefore presumably elsewhere in the region), with all records to date falling between May 9th and May 29th. The two earliest records both came from more southern islands; and the majority of encounters have been on Baekryeong, the northernmost island in the ROK. The pattern of records seems similar to that of many of the species that winter well to the south of the region and breed either in Korea or to the north of us. The late timing is also somewhat closer to what we might expect in Common Cuckoo (first dates are usually in May) than in Oriental Cuckoo (first dates are usually in April). To date too, all singers have either been in forest (in areas where there are no wetlands) or close to wetlands. Birds have only been heard on more than one date in the same place in the same year twice. Both times, these singers were immediately adjacent to wetlands (reed-bed or open water). 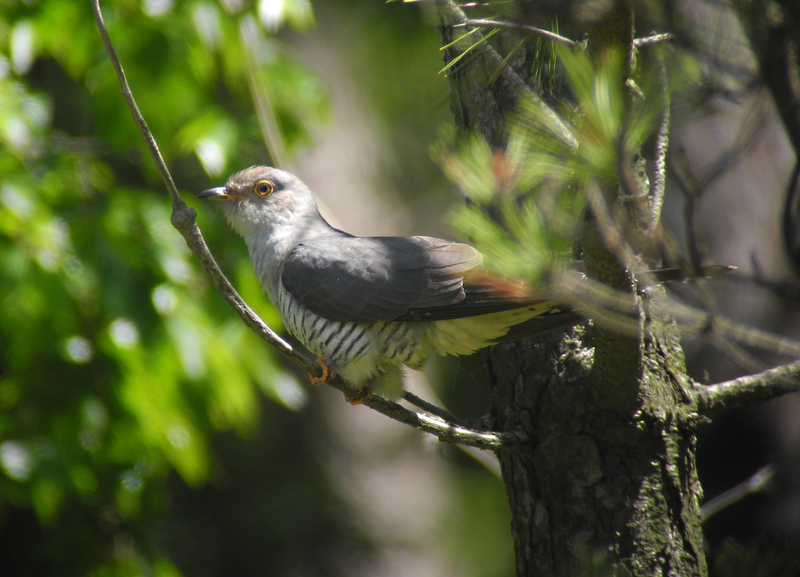 Generally, Oriental Cuckoo (in Korea at least) is more obviously tied to forest, with Common Cuckoo occupying a much wider variety of habitats, including open habitats and reed-beds. Your comments will be warmly welcomed!